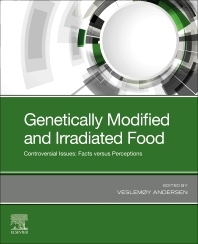 Genetically Modified and Irradiated Food: Controversial Issues: Facts versus Perceptions explains the technologies used in these processes so they can be understood by those in general public health, scientific organizations, politicians and opinion makers/policymakers. The facts presented include a massive amount of scientific evidence that these technologies are safe and can be beneficial. Because the world is facing a future with an increasing number of people, new technologies are needed to ensure enough safe and healthy food, thus technologies that have the potential to dramatically increase the availability of safe and healthy food should be welcomed by everybody. 1. Why is genetic modification of interest or why can it be useful? 2. How is GM different from natural genetic modification? 3. How are genes modified? 4. Can modification go wrong and what if it does? 7. What is the benefit of irradiation compared to other methods of food preservation? 8. Irradiation kills microbes, can it do anything harmful to the food? 9. What is the influence of irradiation on the composition of the food? 10. Can irradiated food have an influence on people’s health? 12. Case studies. Where is irradiation of food applied on a commercial scale? Veslemøy Andersen graduated from the Department of Microbiology at the University of Oslo, Norway. She has been working as a microbiologist at the Norwegian Institute of Public Health, Oslo, Norway, at the University of Groningen, The Netherlands, and at the University of Applied Sciences in Eindhoven, The Netherlands.